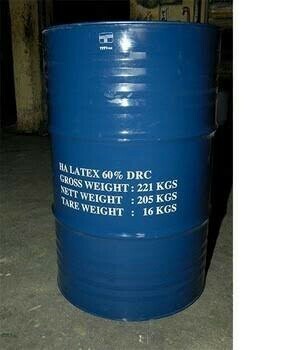 Processing of natural rubber latex into high quality latex concentrate of 60% dry rubber content is done through centrifugation. Centrifuging involves the separation of preserved field latex into two fractions, one containing the concentrated latex of more than 60% dry rubber and the other containing 4-6% dry rubber. Centrifuged latex is today available commercially in two different verities with high ammonia (min.0.7% of ammonia) and low ammonia (max. 0.3% of ammonia). The former is preserved solely with ammonia and later contains one or more preservatives beside ammonia. LA latex has several advantages which include better quality, lower cost of production by way of savings in preservatives, acid and low cost of effluent treatments.